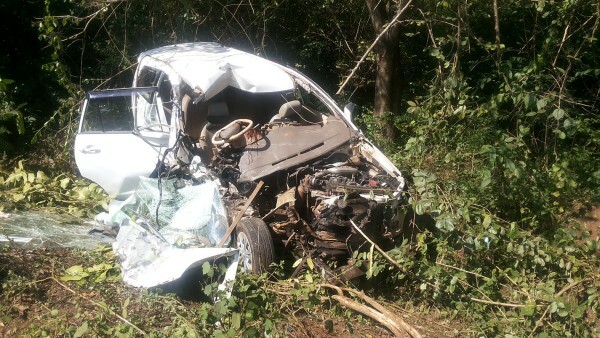 Vishwanath Naik (26) of Ram N Ramesh Ramchandra Yedavi (60) of Asu village in Joida taluk of Karwar agar, Joida were killed in an accident near Ganebail Cross about 3 km away from Khanapur on Monday morning. Other 3 people were also injured in the accident. The accident occurred when the car they were traveling rammed into a bus coming from the opposite direction. Accident occurred when the driver lost control. the accident occured when the gov bus tried to overtake the tipper ….it was the fault of the bus driver.